Has Tekashi 6ix9ine's Get Out Of Jail card finally expired? Possibly so. 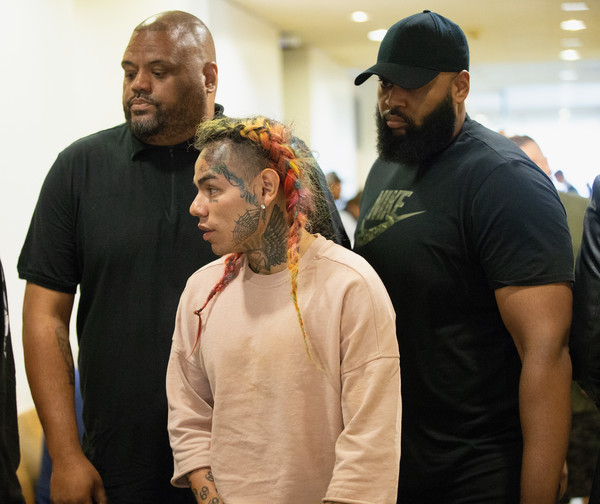 It's being reported the "FEFE" rapper, real name Daniel Hernandez, was taken into federal custody after being charged with racketeering and firearms charges. ATF agents reportedly picked up the rapper in NYC along with his recently fired manager, Treway Shottie, and two other men. Last week, Tekashi made a video on IG claiming to have fired everyone on his team. We guess it didn't matter to the Feds. Faheem "Crippy" Walter, who was the label head of Trey Way Entertainment, was one of the other men arrested and was also charged with racketeering and firearm violations. Two weeks ago, Crippy was charged with gang assault (along with another man) after shots rang out inside Philippe’s, a Midtown restaurant. Tekashi and his crew were celebrating the 22-year-old rapper getting probation on his 2015 charge of using a child in a sexual performance. All four men are facing racketeering and firearm charges. Sources say the investigation was a joint effort by the ATF, NYPD and Homeland Security. 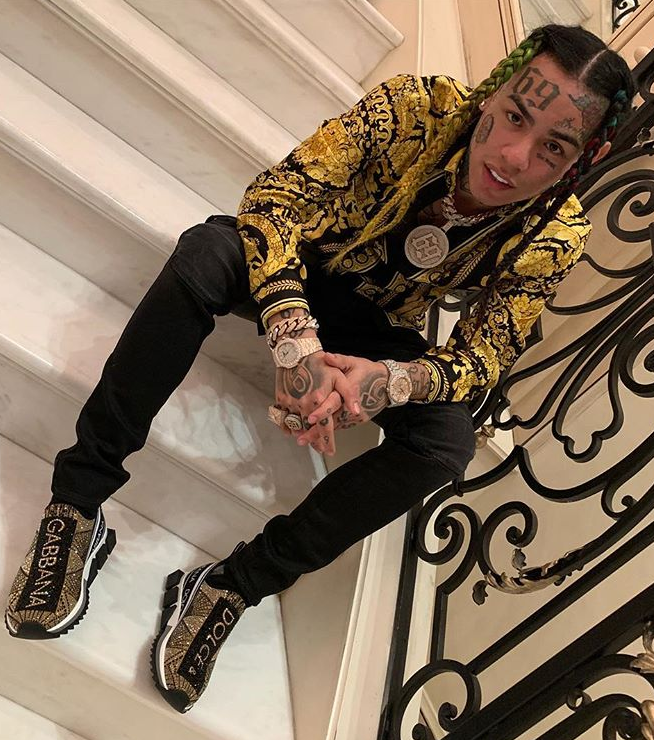 Tekashi will appear in lower Manhattan court today. Hmm...we're sure this arrest will be a violation of Tekashi's probation. Also, he has all that alleged drama brewing in his personal life with his new girlfriend Jade (Cardi B's nemesis) and his daughter's mom Sara. If you missed that, catch up HERE. We might need to put Tekashi in rice.